[Mahatma Gandhi’s Autobiography, first published in book form in 1927 and 1929, had sold 50,000 copies in Gujarati alone, reports the Translator in the preface to the ‘second revised edition’. When we also consider the other Indian languages and foreign languages it has been translated into, the work is arguably the biggest best-seller from India, rivalled only by the astronomical sales of the Gita from Gita Press. 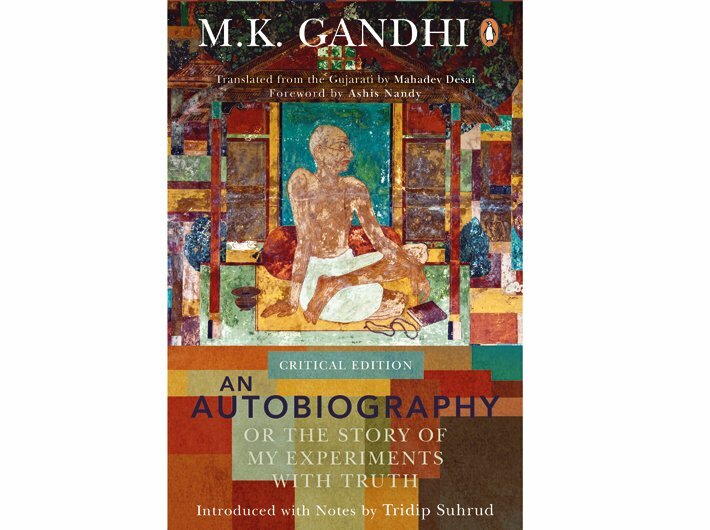 The Autobiography has influenced more people compared to any other book Gandhi penned; it has shaped the minds of world readers and thus also world history. However, the reading is often done in good faith, because there are two matters that come in the way. Firstly, its translation, especially into English, was done in weekly instalments amid the hectic schedule of a freedom fighter, and there are notable divergences from the original in Gujarati. Secondly, there is no explanation of the context, identity of some personalities and background of some events remain puzzling – unless the reader is prepared to go further and read secondary literature which is vast enough to fill many libraries. 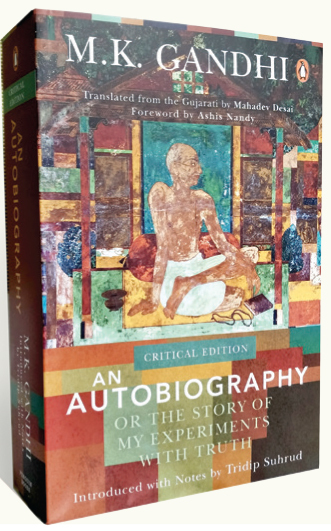 The new ‘Critical Edition’, introduced with noted by Gandhi scholar Tridip Suhrud and published by Penguin, takes up this formidable challenge to help the reader appreciate the full context of The Autobiography. It offers annotations of two kinds: a literal or closer translation of the original text, and the explanatory footnotes. The ‘Editor’s Introduction’ provides an overarching perspective on the writing of the autobiography. The Autobiography had to be written in Gujarati. 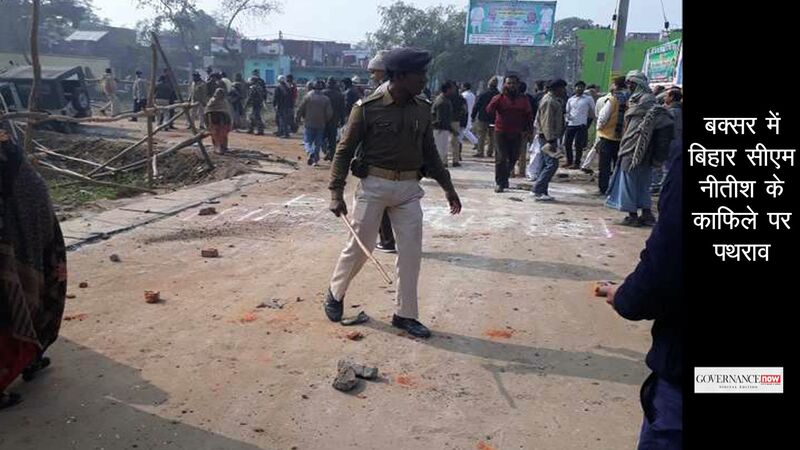 This was not just a gesture, though Gandhi understood the importance of gestures in political life. The choice was also not made because he had hoped to serve the country through the mother tongue. If the Ashram, with its observances and the ashramic community that affirmed Gandhi’s experiments and quest, was one form of in-dwelling, the other form of dwelling within was through the Gujarati language. This in-dwelling was not only with the language of experiences and memory, but for Gandhi it was also about the very form that he wished to give to his autobiography. Just as he was urged by his associates to write the autobiography, ‘a God-fearing friend had his doubts, which he shared with me on my day of silence. “What has set you on these adventures?” he asked, “Writing an autobiography is a practice peculiar to the West. Gandhi was being reminded—if he needed to be so reminded—of the autobiography’s roots in early Christianity, and the emergence of the practice of writing the story of one’s life in nineteenth-century India. The autobiography had emerged along with the novel and the practice of writing history, principally amongst those who had acquired education of the English type and sought to reform, literally re-form themselves and their cultural milieu. There were two significant autobiographies written and published in Gujarati before Gandhi’s Atmakatha. Poet, lexicographer, reformer, historian and pioneering journalist Narmadashanker Lalshanker Dave (1833–1886) wrote in 1866, at the age of thirty-three, his autobiography, Mari Hakikat (My Factual Account). Narmad was the first one to write and publish an autobiographical account in Gujarati. ‘For someone like me to write his own story and moreover print and publish it during my lifetime itself may appear disrespectful to our people. I am not a learned man, nor a warrior, nor a religious leader, nor am I a wealthy philanthropist.’38 Narmad chose to introduce a self-conscious break with the past not ‘Either to be famous (I am already famous) or to amass wealth or position’39 but this act, he hoped, would allow him ‘to institute the practice of writing the autobiography which does not exist among us’.40 This impulse to modernize the literary culture is evident in many pioneering efforts at writing the autobiography in various Indian languages from mid- to late nineteenth century. The other published autobiography in Gujarati was that of Narayan Hemchandra. There is no written evidence that Gandhi had read these two autobiographies but he had read the writings of Narmad and was acquainted with Narayan Hemchandra to whom Gandhi devoted a chapter in the Autobiography. It is possible that Gandhi was not unfamiliar with their autobiographical narratives. Both these narratives are chronicles of the lives of the two authors. The lives of interiority, of their intellectual, spiritual or social strivings do not move the narrative. The God-fearing friend who cautioned Gandhi had these examples of the modernizing impulse before him when he cautioned Gandhi. Gandhi records that this argument had some effect on him. In one of the most creative transpositions of literary forms in Gujarati, Gandhi differentiated ‘a real autobiography’ and the story he would write. He wrote, ‘But it is not a real autobiography. I simply want to tell the story of my numerous experiments with truth, and as my life consists of nothing but these experiments, it is true that the story will take the shape of the autobiography.’41 In the original Gujarati, Gandhi introduced this difference through two forms, jivan vrutant (autobiography or the chronicle of life) and atmakatha (the story of a soul). What Gandhi wanted to write was an atmakatha and not a jivan vrutant. This distinction gets blurred in the English rendering, ‘autobiography’. The atmakatha, Gandhi knew, would only be written in Gujarati, the language in which he communicated with the self and also the language in which he heard the ‘small, still voice’ speaking from within. The response that Gandhi gave to the friend who cautioned him also provides primacy to his experiments with truth and not to the narration of his life story. This emphasis is captured in the Gujarati, where the title Satya Na Prayogo athva Atmakatha foregrounds the experiments with truth. The order is reversed in the English translation, where ‘An Autobiography’ has primacy. We should remind ourselves that the Autobiography was neither written nor placed before the readers as a ‘book’. The readers had the opportunity, while the Autobiography was being written, to respond to it. Gandhi confessed that he did not have a plan before him as he wrote the story of his experiments with truth week after week for 166 weeks. Gandhi claimed that he wrote at the prompting of the ‘dweller within’—‘Spirit’, as Mahadev Desai translated the term antaryami. On 24 July 1927 the chapter on ‘Intimate European Contacts’ (Chapter XI, Part IV) was published in Navajivan. In this chapter he felt it necessary to explain to the reader how the story was being written from week to week, an exercise that had begun in the December of 1925. He told them, ‘When I began writing it, I had no definite plan before me. I have no diary or documents on which to base the story of my experiments. I write first as the spirit moves me at the time of writing. I do not claim to know definitely that all conscious thought and actions on my part is directed by the Spirit . . . I think it will not be improper to say that all of them were directed by the Spirit’.44 This claim of writing at the prompting of the antaryami, the dweller within, distinguishes an atmakatha from a jivan vrutant. Gandhi suggests that an atmakatha is not only the story of the soul in its quest for truth, but it is written through a process which reveals that which was hitherto known only to the self and had come to subside in the self. Excerpted from the Editor’s Introduction, ‘An Autobiography or the Story of My Experiments with Truth: Critical Edition’. Reproduced with the publisher’s permission. 38 Narmad, Mari Hakikat, edited by Ramesh Shukla (Surat: Kavi Narmad Yugavrat Trust, 1994), p. 21; translated here from the Gujarati by Tridip Suhrud. 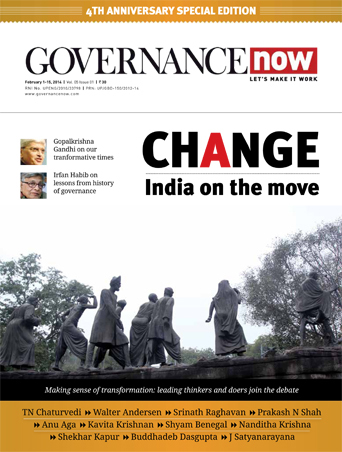 42 Sabarmati Nidhi 32215 (Sabarmati Nidhi followed by a number refers to the accession number in the archives of the Sabarmati Ashram Preservation and Memorial Trust; henceforth sn). 43 CWMG, vol. 33, p. 299. 44 Chapter XI, Part IV. 46 SN 32234, letter of 27 February 1926.